Is there a better alternative to Vtrace? Is Vtrace really the best app in Internet Utilities category? Will Vtrace work good on macOS 10.13.4? 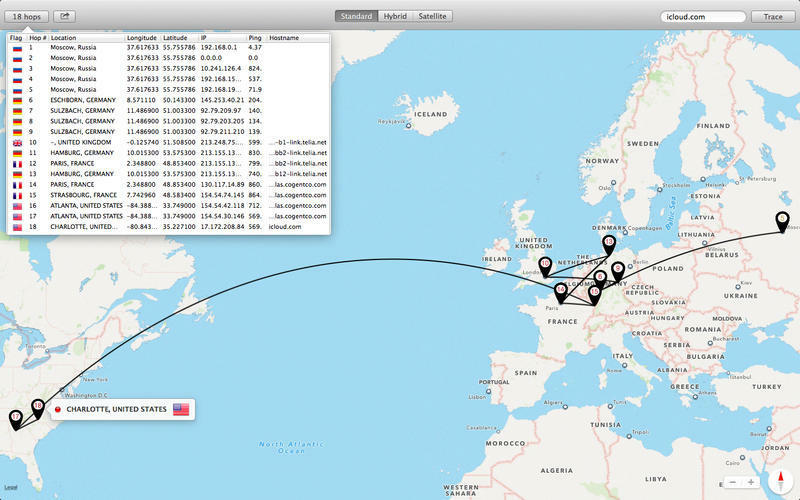 Vtrace is a visual traceroute application that shows* a list of the network servers from your machine to a target IP address or hostname, and it attempts to place each at its corresponding location on a map. *The ability to show and determine hops depends on your network's routing policies; if the packets are filtered, no hops can be determined. Vtrace needs a review. Be the first to review this app and get the discussion started! Vtrace needs a rating. Be the first to rate this app and get the discussion started!